Color Metal T Ltd. offers cold-bent profiles for Viva Plast, AluPlast, Profilink. We work with sheet material d 0.8 - 2.5 mm. Our reinforcing profiles are galvanized, with excellent quality and at very competitive prices! We work with manufacturers of joinery in Plovdiv as well as in Sofia, Burgas, Varna ... all over Bulgaria. PVC windows are extremely popular and have entered the modern life. This is not surprising at all because of the many important advantages of this joinery. 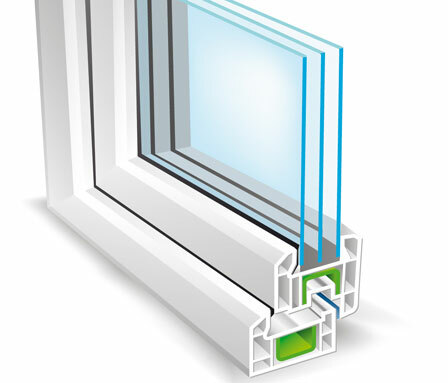 Good sealing and tightness of the glazing are the main preconditions for complete and safe protection against cold, noise and pollution, moreover they are environmentally friendly, comfortable and easy to operate and maintain. © 2008 - 2019 • Colour Metal T Ltd. - Bulgaria. All rights reserved.